The 10 Best Candy Shops in Washington State! Chocolate, praline, saltwater taffy… is your mouth watering yet? Washington State has some of the sweetest shops to tickle your sweet tooth and satisfy that sugar craving with a delectable treat. Come visit any one of these magical candy stores to feel like a kid again! Visiting Bright’s Candies is like taking a step back in time. Taste classic candies which have gone unchanged since Bright’s began way back in 1934. This family sweet shop has been crafting its goodies the old-fashioned way, using old family recipes and copper kettles. Come in and see the confectioners work and taste the magic. Sweet Mickey’s is among Seattle’s top-rated candy shops time and time again. This friendly neighborhood sweet shop offers retro sweet treats, ice cream, a wide array of bulk candies as well a variety of gorgeously-crafted fudge. This nook will have you giddy with the amazing variety of sweet gems! Be captivated by the sweet scent of delectables here at Buddy & Howie’s in Ocean Shores. They offer an amazing array of candies, salt water taffy and of course, fudge! This old-time candy shop has candies that will remind you of your youth! This special store offers candy goers a large variety of candy and chocolates. 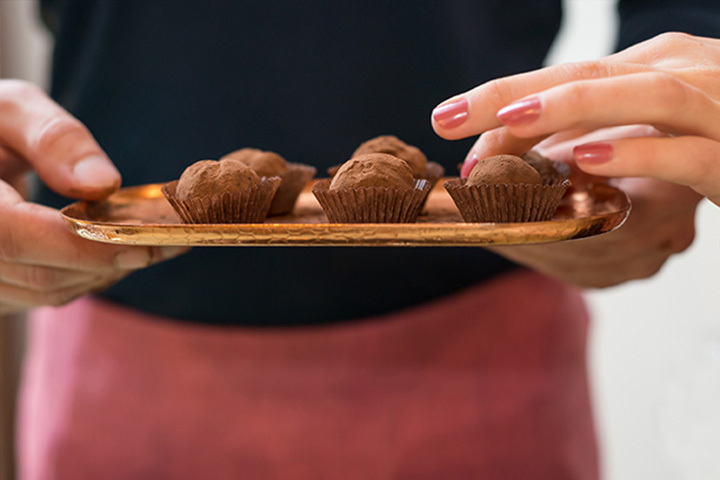 A landmark in Pullman, Palouse Country Candy creates delicious truffles and macaroons, and also gives customers the chance to taste regional specialties such as Chukkar Cherry, Bruttles, Cowgirl Chocolates and many other favorites all in one location! With a legitimately daunting array of sweets, the Candy Shoppe in Port Orchard is one of those places that you’ll have to enjoy multiple visits of to truly get a taste of all they offer. This place crafts over 400 unique and delicious flavors of fudge alone! You can be sure that the Candy Shoppe is a place you’ll be visiting time and time again! Frankly Sweets gives its customers some of the tastiest saltwater taffy you can get your hands on, frankly. Nestled on the waterfront in Seattle, this spot has been a place of sweet, sweet joy for tourists for a long time. Make sure you grab a handful of your favorite confection next time you’re in Seattle! The Alps Candy Shop, located in the Bavarian village of Leavenworth, is a sweet fanatic’s dream come true! Giving customers two stories of candy coated delight, the Alps Candy Shop has everything! Candies, fudge, softball-sized jawbreakers, habanero chocolates, Shirley Temple sodas and anything else your imagination could ever dream up. Make sure to give The Alps Candy in Leavenworth a visit! Roslyn Candy Co. creates some seriously mouthwatering confections. Chocolate truffles and other custom chocolate designs has put the Roslyn Candy Co. on another confectionery level. Come in and try any one of their amazing creations. Greet the friendly staff and enjoy the velvety deliciousness of Roslyn Candy Co. This nostalgic candy shop is easily one of Tacoma’s best kept secrets. The Johnson Candy Company is a veritable hidden gem and chocolate lover’s promised land. Crafting handmade chocolates in a classic setting, Johnson Candy Company will convert you to the dark chocolatey side of the candy universe. Try the butternut cashews, seafoam in milk chocolate, or a hand dipped ice cream bar with almonds! Bruttle is a one of a kind classic recipe of delicious, soft, and flaky peanut butter brittle. Handed down from generations, Bruttles located in beautiful Spokane creates one of the most delicious varieties of peanut brittle on the planet! Make sure to stop by and taste this local and visitor favorite!